Parents will no more have to worry to give their children extra computers while keeping an eye on them for using computer and internet; thanks to Ncomputing’s virtual desktop technology for resolving the issue simply and easily. The internet is a source of knowledge but its misuse causes negative impacts on the education of the children and moral values. It is very difficult for the parents to check their kids mostly waste their precious time in playing games, chatting and browsing. 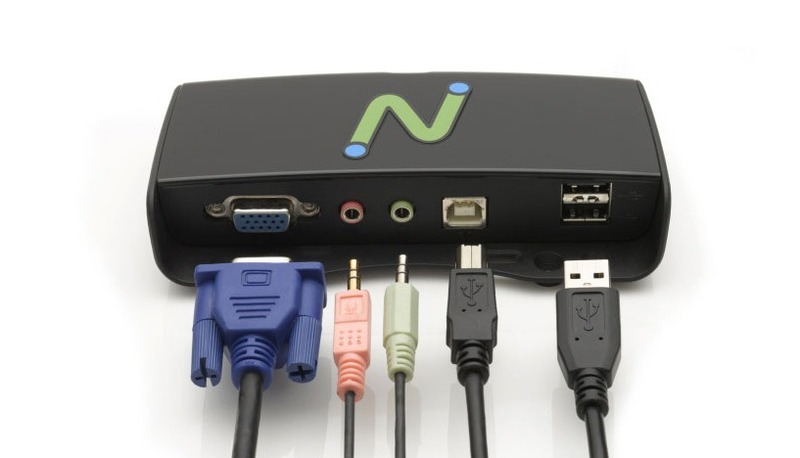 Ncomputing’s U170 is a plug and play USB kit which uses desktop virtualization technology to provide a computer owner an extra virtual desktop; which is used by most of the parents specially for the purpose of safe parental control on children. “Today’s PCs are so powerful that vast majority use only a small fraction of their PC processor’s capacity and world’s first USB-connected plug-and-play desktop virtualization solution, the U170, taps this unused resource so that a computer can be simultaneously shared by many users,” said Khawaja Samiullah CEO NConnexion, Ncomputing’s distributor and authorized service center for Pakistan & Afghanistan. This thing is AWESOME ! I believe its a must for ppl setting up new businesses…. This is clearly a promotional Press Release. It’s sad that Propakistani does not mention this fact. At Rs. 13000 It’s not very attractive. because people can buy second hand PC for like 4000. And who is the smart guy who thinks that PCs on the network can’t be monitored? Just changing your DNS to OpenDns will allow you to control what websites you’re children can access. Umair, tags of the post defile that it was a PR. Check below screen shot for reference. Moreover, all press releases go intro Press Release’s category as well. We will try to make it more prominent to avoid any confusions. I agree it would be much better if PR is mentioned somewhere prominent. Just like real PRs. in RS:13000 i can buy 2 good speed computers. People need to think long term, less power, less maintenance cost and so on. In the pakistani market, i think buying a second computer is better. But even then if you want to go for something like this, then this is very expensive! For example this product : http://www.dealextreme.com/details.dx/sku.28896 it’s got 1 pci card and 3 clients for $64 including shipping! This should be less expensive srsly. Have you guys ever heard about VMWare virtualization? Price is a bit high keeping desktop PCs in view. Beside this, there are a lot of “Parental Control” softwares available, which can be installed on any system and monitoring levels can be set accordingly. A lot of such softwares are even free ware.